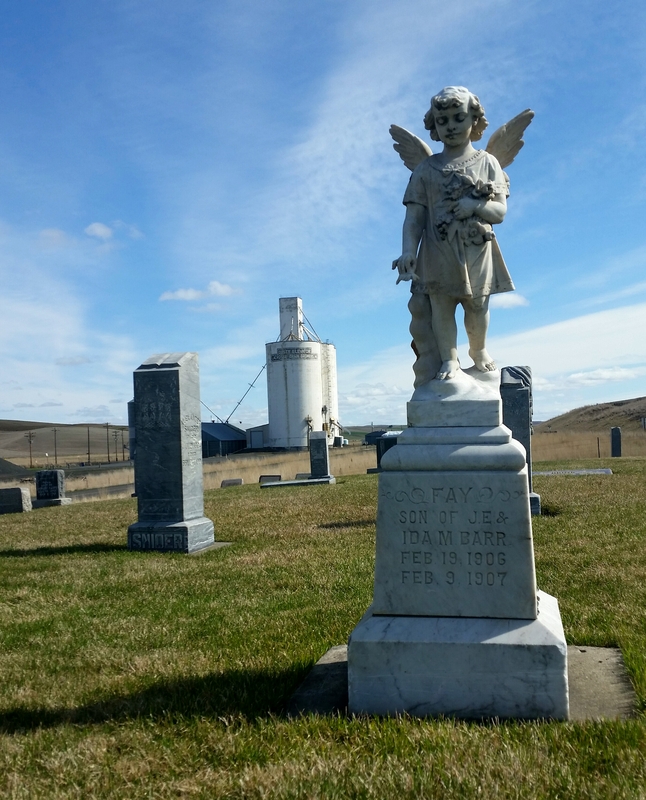 Alongside Dusty Road, in the tiny town of Dusty, WA one can find the peaceful Dusty Cemetery. 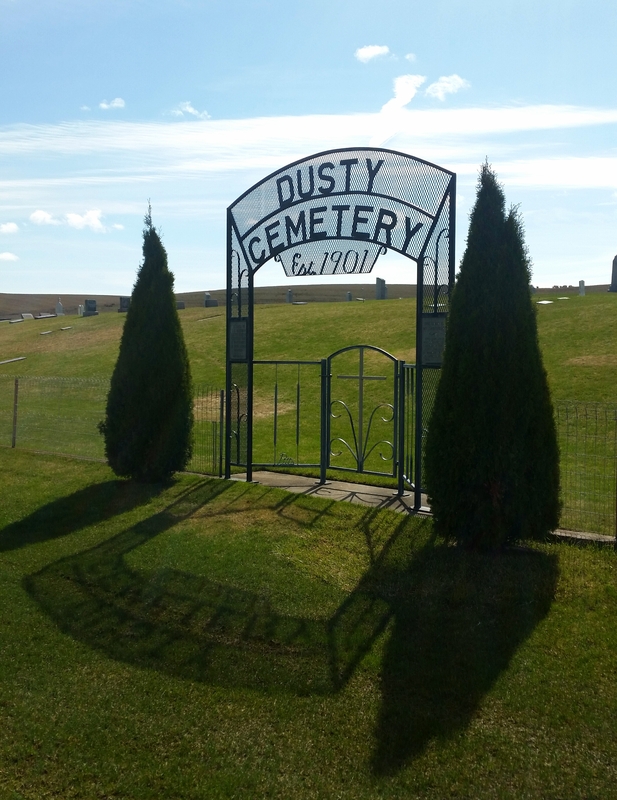 The Dusty Cemetery was established in 1901. In those early days the diminutive necropolis was known as Ackerman Cemetery, for it started life as the Ackerman Family’s burial grounds. Sometime later the Ackerman family donated the parcel to the Dusty community. 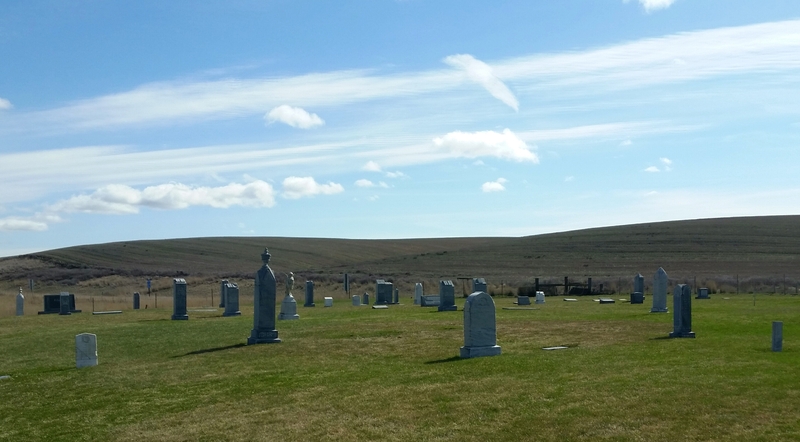 In this day and age these restful grounds are cared for and maintained by the Dusty Cemetery Association. While there aren’t many pre-20th century graves here, there are some beautiful monuments and the cemetery has a certain charm all it’s own. Dusty sits at the confluence of the WA-26 and the WA-127 on Alkali Flat. I’ll be honest, you’re better off with a map than directions on this one because no matter where you’re coming from it’s going to be from a long ways away.